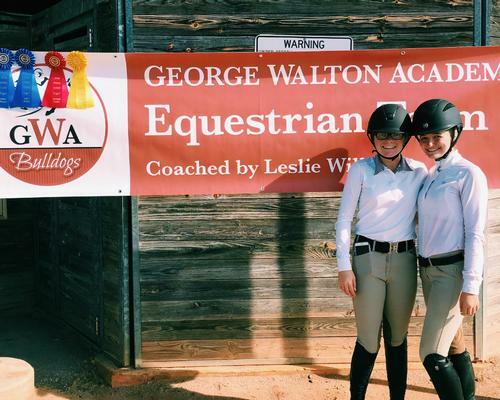 The GWA Equestrian Team was founded in 2015 to provide an opportunity for GWA equestrians to pursue their passion for riding in a scholastic setting. 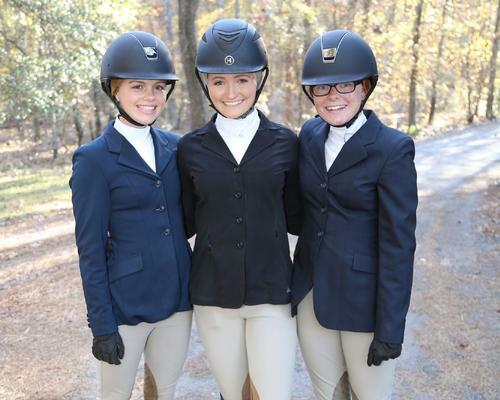 The team participates in the Interscholastic Equestrian Association (www.rideiea.org) with riders competing individually and as middle/high school teams. 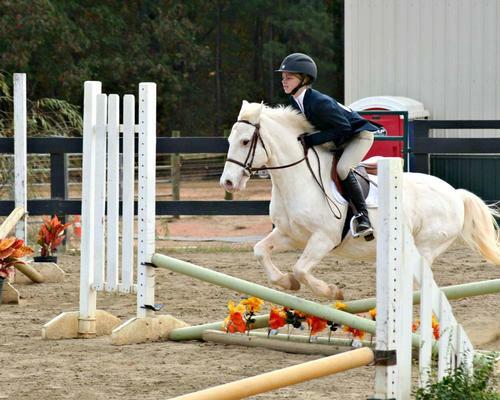 Competitions are open to beginners through advanced riders in middle and upper school; horse ownership is not required! 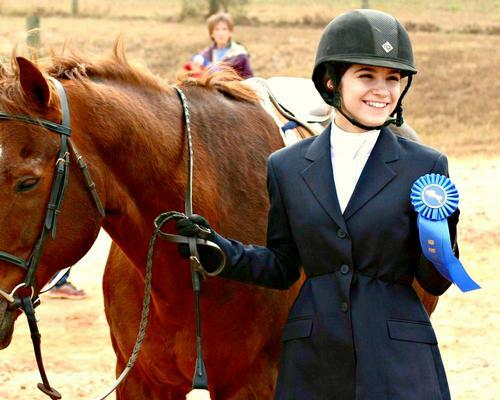 Since its founding, the team has experienced tremendous success, qualifying many riders for Region Finals, Zones and even National Finals! 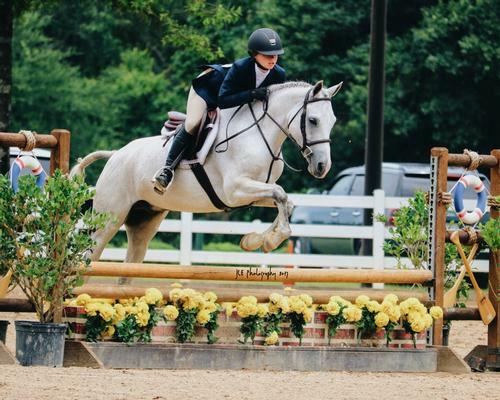 The GWA Equestrian Team is a tight-knit group that sets individual and team goals, then works hard at lessons each week and a monthly meeting to achieve them. On top of that, the team also has a lot of fun, usually taking one or two field trips each season. 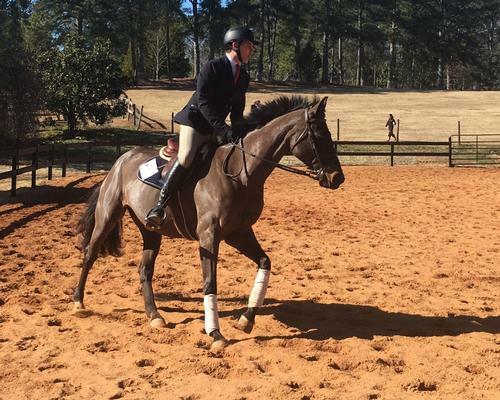 Coach Leslie Williams trains the team out of her facility in Oxford near the Georgia International Horse Park, though many riders also lesson at other hunter/jumper barns. 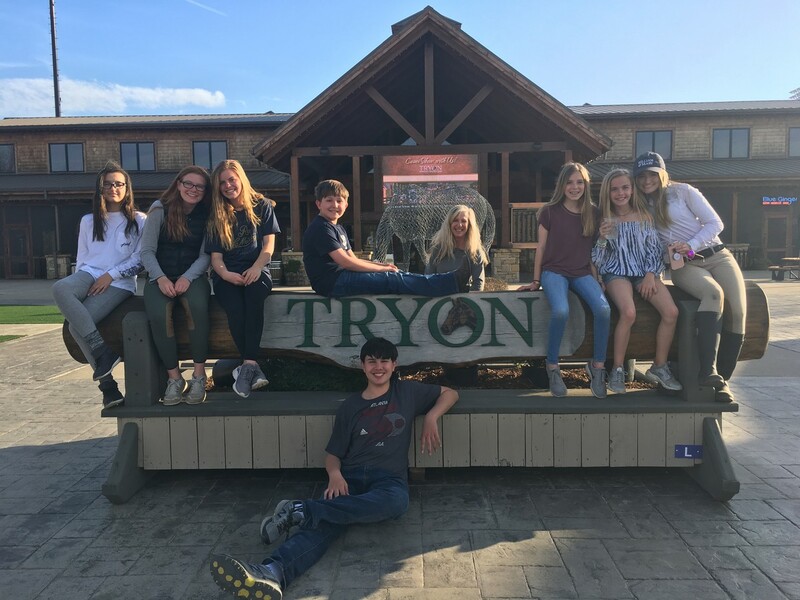 To learn more about the team, contact Ashley Blackstone (ashblackstone@gmail.com) or Tara Geoffroy (tara.geoffroy@gmail.com). 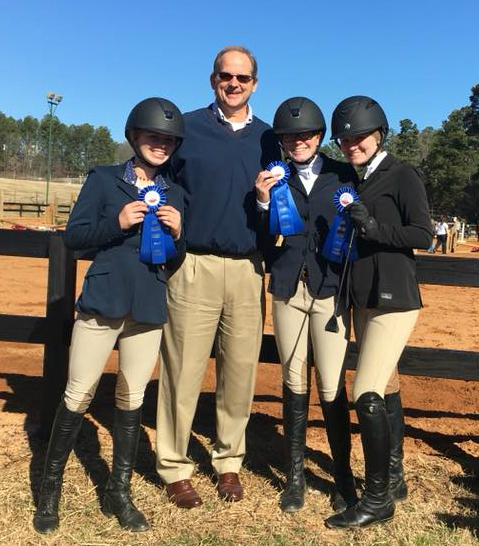 Congratulations to the GWA equestrian team for placing in the top ten out of over 70 teams from all across the southeast. 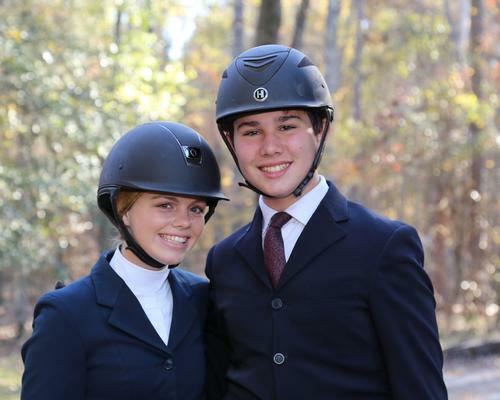 The team was the only scholastic team to qualify to compete at Zone Finals. 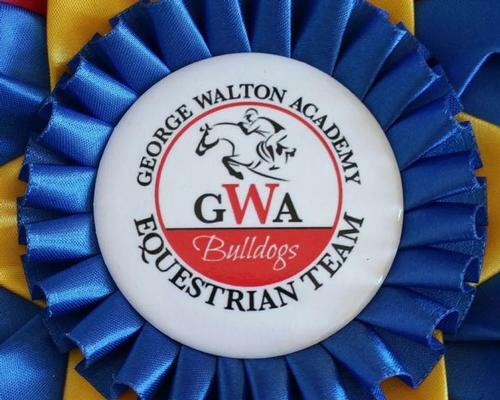 George Walton’s equestrian team hosted the first annual GWA Bulldog IEA Classic at Wellspring Farm in Monroe in January of 2018. The show included exhibitors from across Georgia and South Carolina. 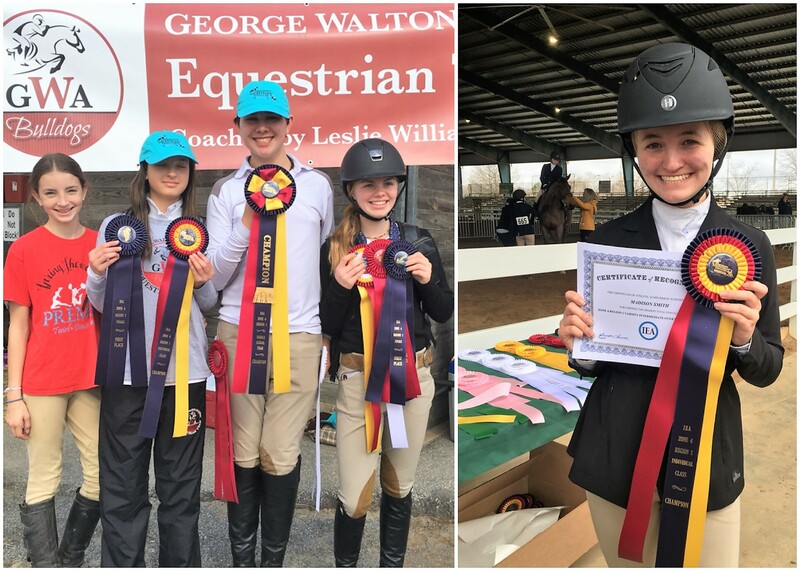 GWA took home the High School Championship ribbon, the Middle School Championship ribbon and Josie Evans was the Reserve Champion Open Rider. The Middle School team also qualified for the Region Finals. 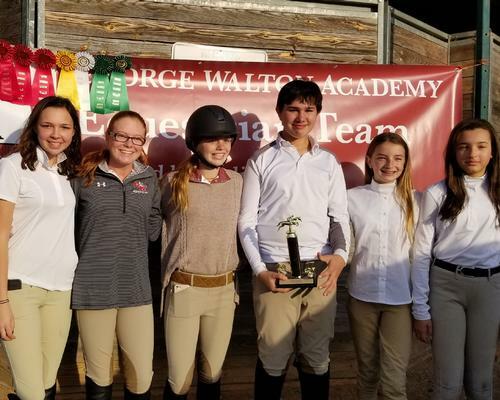 GWA’s middle school equestrian team was named Region One Champion at the Zone Four Region One Finals.